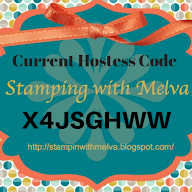 Stamp with Melva: Home Again, Home Again! I'm home now from the Stampin' Up! Convention. 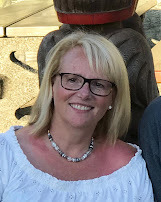 What a wonderful time I had and I have so many new ideas to share with you. I can't wait to share the new Holiday Catalogue with you as well - you'll be able to order from it beginning September 1st! I have lots of pictures to share with you of the Display Boards from Convention - stay tuned, I have to download them from my camera! If not, what a great time to check it out. 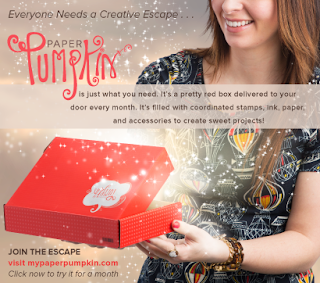 Every month a new, surprise kit arrives at your doorstep - it contains project cards, journals, decor and more! Everything you need to create a beautiful project is included - typically you can create this in about 30 minutes. The cost of the kit is $24.95 including shipping, but until September 10th, Stampin' Up! is offering 50% off of your first two months. I've seen the next kits for August and September and I can tell you they are so cute! These are ones that you will want to order additional refill kits for and you can only do that if you are a subscriber. To be sure you receive the August kit, make sure you sign up BEFORE August 10th. Click Join Now! and use the Promo Code "HALFOFF" to receive this deal. Once you've signed up you can continue to enjoy the kits every month for as long as you choose. The weekly deals from Stampin' Up! have been posted. So many cute things. The metallic doilies were all over the samples I saw at Convention! What a great price - you get 24 in a package - 6 each of 2 different sizes in both silver and gold!